Clean out your garage, cabinets and closets from old waste, such as paint cans and waste oil. We partner with hazardous waste professionals to ensure that waste is properly disposed of and recycled. Proper disposal and recycling of hazardous waste protects the environment and extends the life of landfills. Warren County's Division of Stormwater Management partners with multiple agencies and businesses to host Household Hazardous Waste days, providing you and your family with the most environmentally friendly way to dispose of the hazardous waste around your home. Many household items are hazardous to the environment when improperly disposed of. You can generally find these items stored in your garage or under your kitchen sink - paint, anti-freeze, oil, cooking oil and more (see the list below for more). Why is it Important to Dispose of Hazardous Waste Properly? Many of these items are harmful when improperly disposed of in our landfills. This reduces the useful lifetime of the landfill. Improperly disposing of these waste items also prevents their proper recycling - one of the other functions of Household Hazardous Waste Day. By participating in Household Hazardous Waste Day, you and your family may get rid of those extra household items cluttering up your garage, cabinets and closets and protect the environment at the same time. "e-Waste" includes small electronics, such as TVs 40 inches and under, computer CPUs, laptops, tablets and monitors. You can bring old small electronics to Household Hazardous Waste Day, and we will ensure they are properly recycled. Do you have personal documents that ned to be shredded? We will have on-site document shredding available for you. Note: any previously shredded material you wish to recycle must be sealed in a bag to prevent escape. If you are disposing of a computer, we recommend removing your hard drive before you arrive. Hard drive removal will not be supported on-site at Household Hazardous Waste Day. This is for local area households, and businesses materials cannot be accepted per federal guidelines. 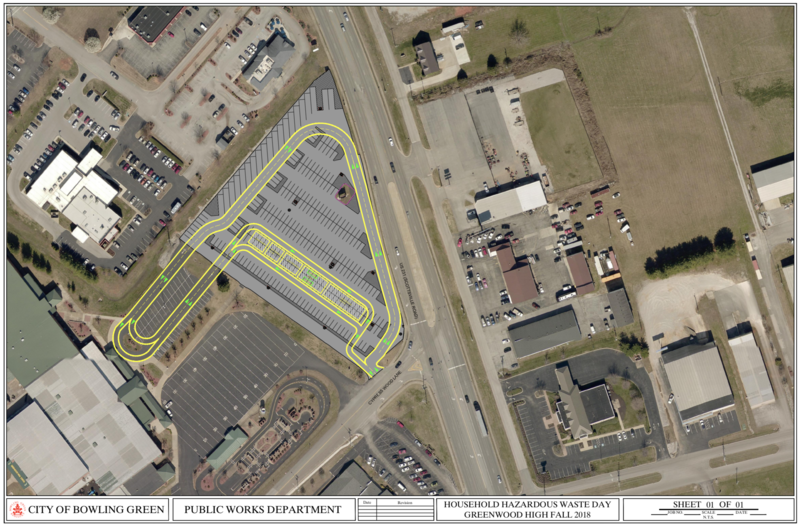 Click for further detail of the site layout. 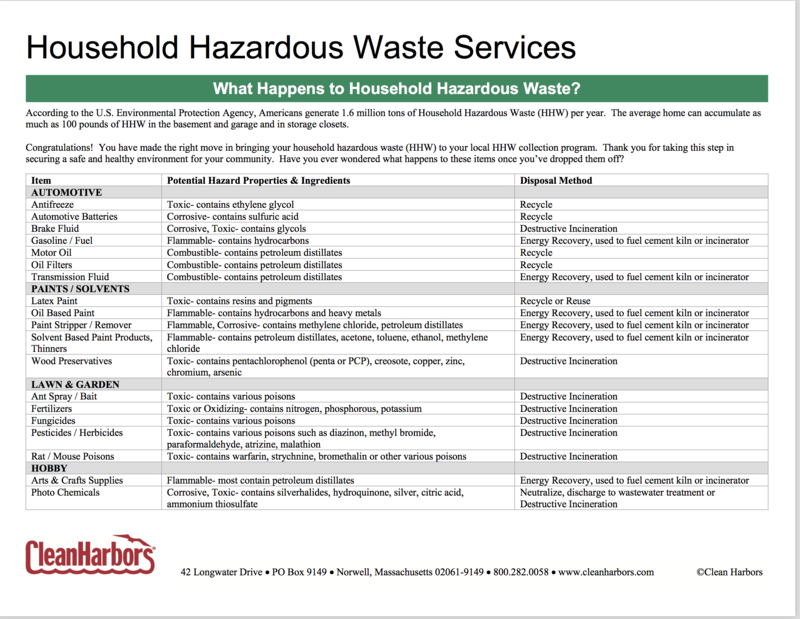 What happens to hazardous waste?